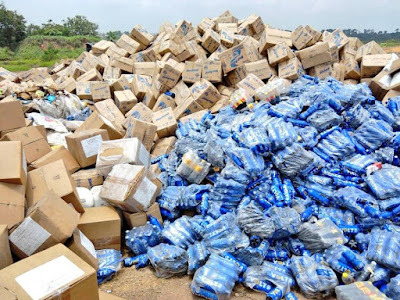 The National Agency for Food and Drug Administration and Control (NAFDAC) on Friday destroyed unsafe and unwholesome products seized by the agency, worth over N2 billion, at Oke-Diya Dumpsite, Sagamu, Ogun State. 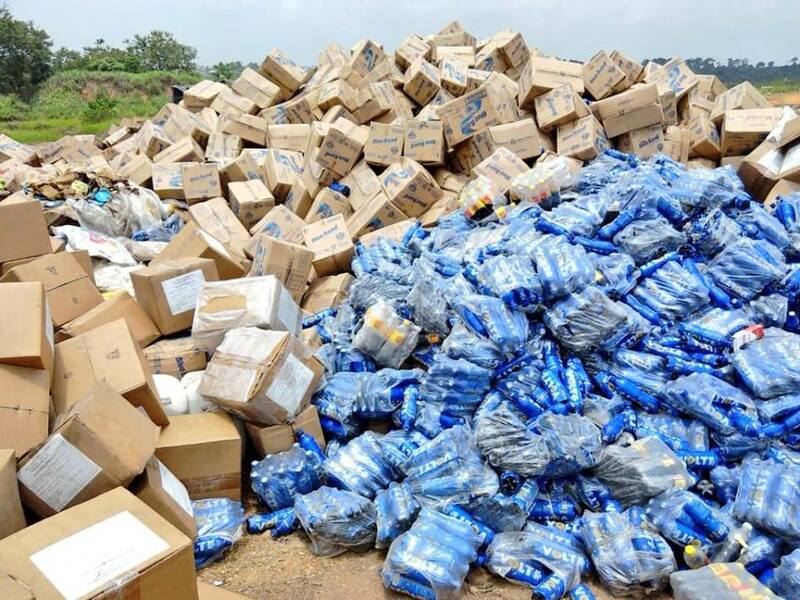 Prof. Mojisola Adeyeye, Director-General of the Agency told newsmen during the destruction exercise that 189 trucks conveyed the unsafe and unwholesome drugs — the highest ever recorded by NAFDAC — to the destruction venue. 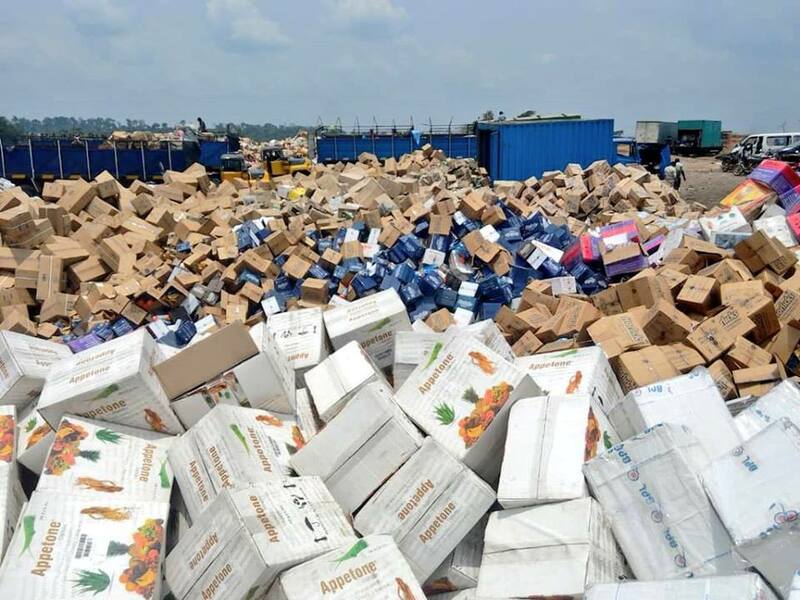 “This destruction exercise, which is in line with our strategy, is aimed at eradicating the re-introduction of expired, Substandard and Falsified (SFs) medical products, as well as unsafe and unwholesome NAFDAC regulated products into circulation in Nigeria. 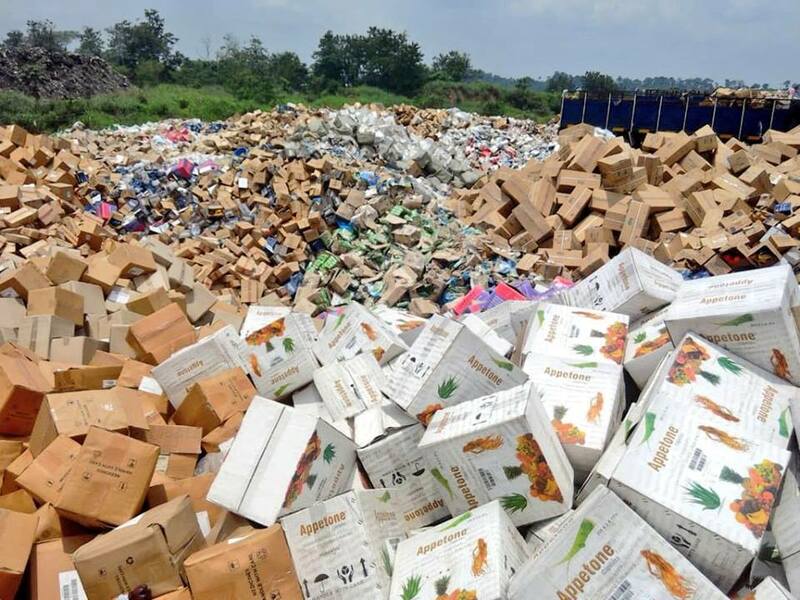 “The products being destroyed today are products seized by the agency from manufacturers, importers and distributors. “Also up for destruction are expired products voluntarily handed over to the agency by compliant companies, Non-Governmental Organisations (NGOs) and Trade Unions. 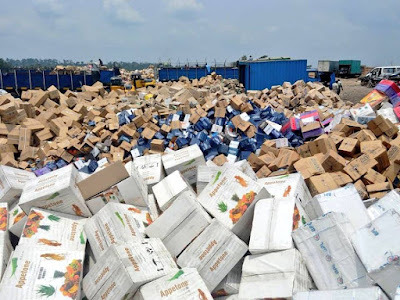 “The estimated street value of the products scheduled for destruction today is N2, 675,896,538.20,’’ she said.The D-G said that NAFDAC had been given the mandate by the government of President Muhammadu Buhari to ensure that the health of Nigerians is safeguarded. Adeyeye appealed to the judiciary to take sterner view of counterfeiting and apply stiffer sanctions to deter counterfeiters, because of the danger they continue to pose to the society of their dangerous products. What a funny country. How about the offenders? Hope the law will take it s course. I never knew NAFDAC was still in existence. We need more of these fake drugs destroyed and perpetrators bought to book.